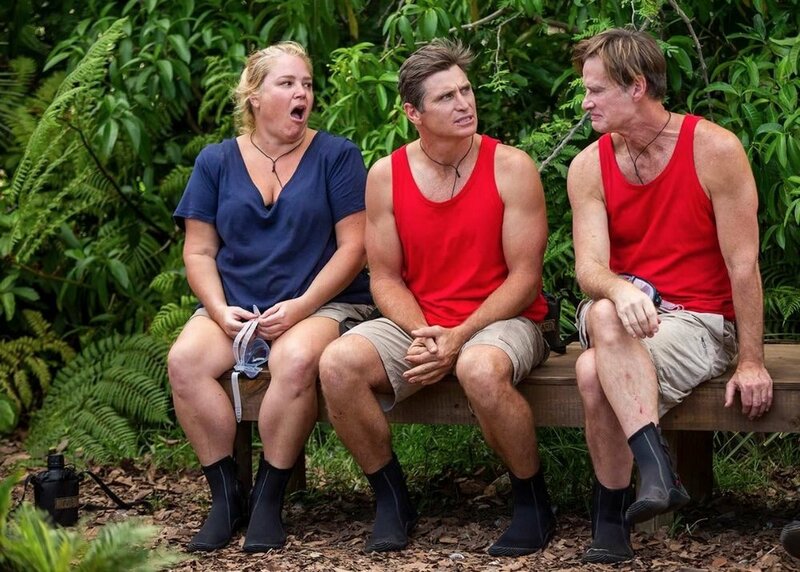 This Sunday will see either Richard Reid, Shane Crawford or Yvie Jones take home the title of King or Queen of the jungle on I’m a Celebrity, Get Me Out Of Here. This year will see the finale not broadcast live for the first time. With 10 looking to reduce production costs and wanting to get Dr Chris Brown and Julia Morris home to prepare for Sunday Night Takeaway, the finale will be filmed tonight, with the winner hopefully kept secret before Sunday’s broadcast. Viewers will need to get their votes in before tonight at 7.00pm AEDT, inorder to ensure their favourite wins. In last nights episode, Richard Reid struggled with the departure of Justin. Getting emotional in the Tok Tokkie, he reflected on his friendship with Justin, and his desire for Justin to thrive in the outside world. On the topic of great friends and reflection, Angie Kent and Yvie Jones took a moment to ponder their incredible, but very different, journeys on the show. They talked about the highs and lows, how they were able to flourish on their own as individuals and how amazing they felt to be the last two women standing. GIRL POWER. The fabulous five came together in tonight’s hilarious trial, Help From Our Friends. Sitting above a tank filled with jungle nasties, the celebrities had to match a departed celebrity with a category in which they believed they would have got a question right upon exit. Get it right and stay dry, but get it wrong and you will take a stinky swim. Later in the show, Dr. Chris and Julia announced that couch critic Angie Kent and television presenter Luke Jacobz were the next two celebrities to leave the jungle. Taking Angie from commentating on the show in her living room to taking part in the show from the African jungle proved to be a brilliant casting decision. Entering the camp alongside bestie Yvie Jones, the loveable lounge lizard broke out from the couples cocoon to really shine it up on her own. From friendship highs to friendship lows, there wasn’t always love in the jungle with Angie locking horns with model Justin over his constant complaining and general attitude. Having lost his father to brain cancer in 2015, Luke bonded with jungle peers Tahir Bilgiç and Yvie Jones who both shared with him tales of losing their parents. Luke had the control room in hysterics with his elaborate requests for breakfast, and had us all in tears when he received a beautiful love letter from his fiancé back home. I’m A Celebrity…Get Me Out Of Here! Grand Finale. Sunday, 17 February At 7.30pm on the 10 and WIN Networks.